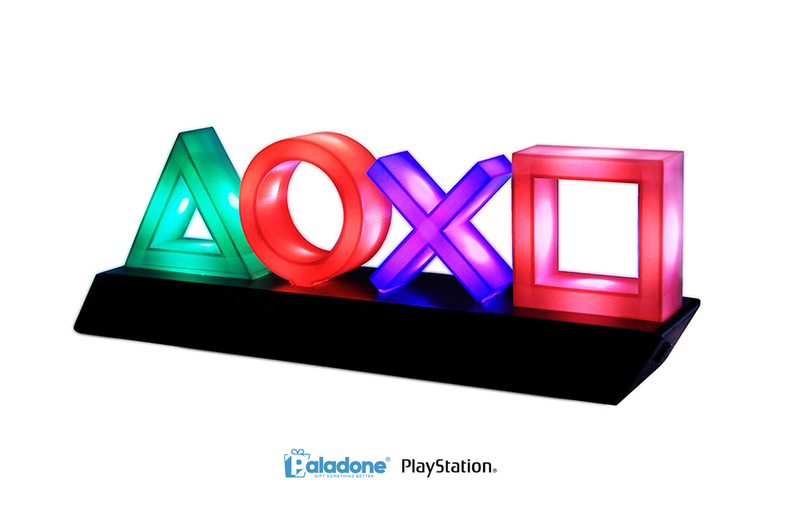 The PlayStation Icons Light offers fans of Sony’s iconic gaming console the opportunity to infuse their home décor with some video gaming-themed style. The light is approximately 12-inches wide by 4-inches tall and features the four classic PlayStation controller button symbols (green triangle, blue x, red circle, and pink square) mounted on a black plinth. Paladone has integrated a series of multi-coloured LEDs into the officially-licensed product. Three different lighting modes are available: standard, color phasing, and “music reactive,” making it a suitable addition to any gaming setup or get-together. Two power options are also available: USB input or 3 AAA batteries. The PlayStation Icons Light checks in at $34.99 USD and is set to ship in September 2018 from a variety of online retailers. ThinkGeek has released a Squishy 7 Piece Polyhedral Dice Set that brings the creativity and comradery of D&D to kids age 3 and up.